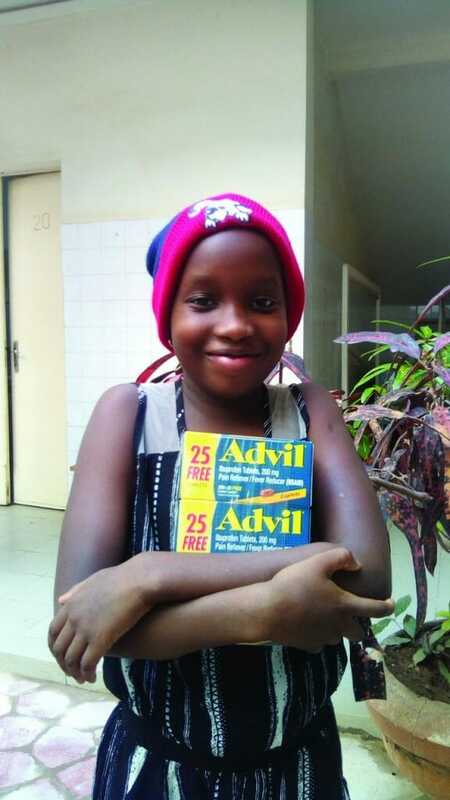 Inter-Senegal Mission, our Ministry Partner in Senegal, works with Barthimee Hospital to supply surrounding villagers with the best medicine available. At the same time, the staff shares with them the love of Jesus. Our generous donors have helped provide for the shipping of millions of dollars worth of quality medicine to benefit Barthimee. One young girl, Damaris, dealt with severe eczema that plagued large portions of her body and was spreading fast. She was embarrassed to go to school. It got so bad that Damaris had to have her head shaved so they could apply the medicine. Such an easily treatable condition could have quickly become a severe, deadly infection if Damaris hadn’t had the right medicine to treat it. 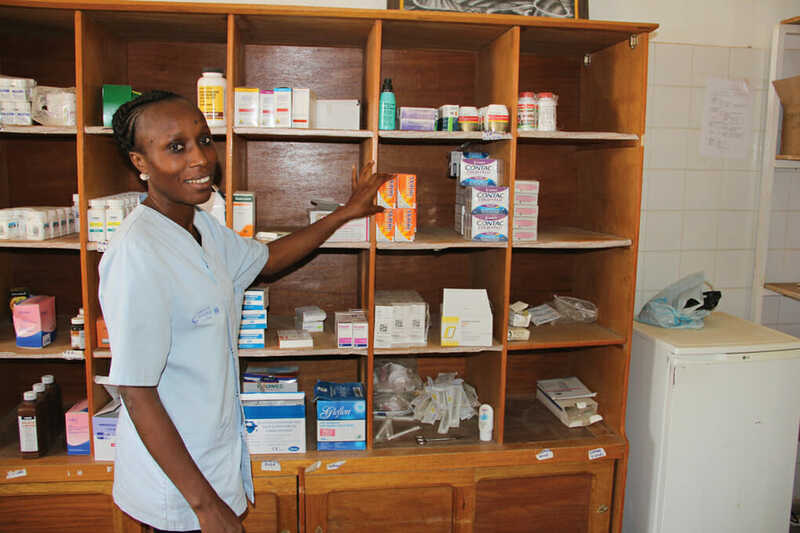 Damaris with medicine for her family. The doctors were able to diagnose Damaris and treat her with medicine that had been donated and shipped last year, thanks to compassionate supporters like you. Damaris quickly healed once she got the proper medicine and support from Barthimee Hospital. Most Senegalese people avoid hospitals because they are too expensive. Instead, they go to privately owned pharmacies or local natural healers, neither of which are licensed or regulated by the Senegalese government. But, thanks to the medical shipments, Barthimee offers affordable, quality health care to those who would otherwise go without. In addition to the amazing medical service at Barthimee, patients and their families hear the saving message of the Gospel! Will you help make sure boys and girls just like Damaris get the medical treatment they need?